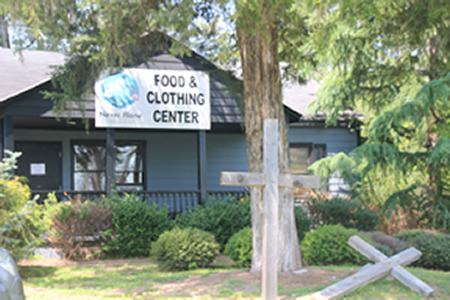 Offering food assistance to families in need in Cherokee County area. Thank you Sponsors! Your generosity and grace shines especially bright this Christmas Season. Because of you, 290 children will have a Christmas this year. Thank you so very much! If you were not able to sponsor a child this year, perhaps you could make a financial contribution instead and help feed one of our families? We are always looking for monthly partners and a monthly commitment of $25.00 from just a little over 250 people will meet our Food Budget for the entire year. Click on the Donate button in the top menu bar to become a partner. Sponsorship Commitments for the 2019 Christmas Program will open in October of next year. Monday – Friday, 10:00 am to 2:00 pm and the 1st & 3rd Saturdays of each month.